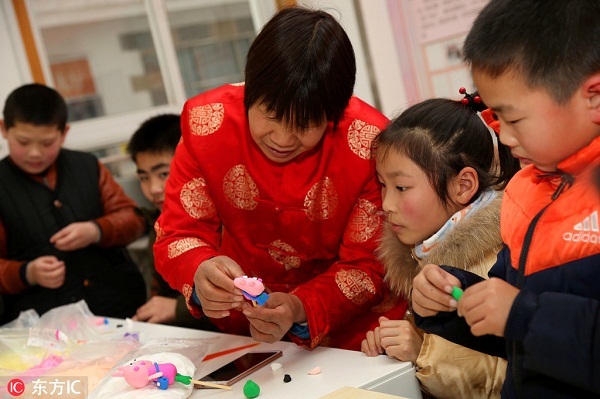 An activity to teach children and elderly people to make dough figurines of Peppa Pig, a popular cartoon character, was held at Hongqiao community in Chongchuan district, Nantong, East China’s Jiangsu province, on Jan 29. The idea for the activity was inspired by a recent Peppa Pig movie teaser trailer. The clip features an elderly man in rural China who cobbles together a Peppa Pig toy out of scrap metal to give to his grandson as a Spring Festival gift. The year 2019 will be the "Year of the Pig" in the Chinese lunar calendar. And the Peppa Pig series emphasizes the importance of family values –– something that deeply resonates with Chinese audiences. 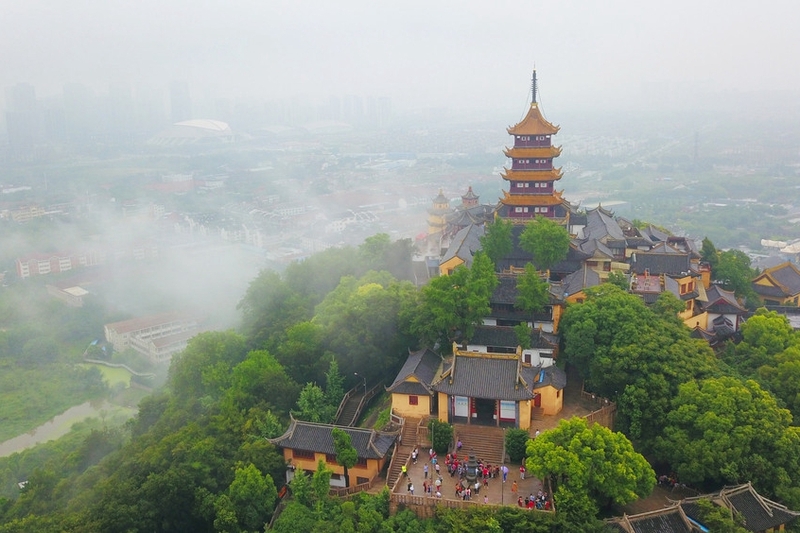 Hongqiao community hopes that the activity will bring children and the elderly together, as well as promote traditional Chinese culture.